Originally from Upper Saddle River, New Jersey, Robert Toale moved to New Orleans in 1974. He is a graduate of Tulane University and Loyola University New Orleans College of Law. Although he was not raised in New Orleans, Mr. Toale cannot imagine calling anywhere else home. He is admitted to the Louisiana Bar and the State Bar of Georgia, and he is also admitted to practice in all state and federal courts in Louisiana, the United States Court of Appeals for the Fifth Circuit, and the Supreme Court of the United States. Mr. Toale knew from a young age that he wanted to be a criminal defense lawyer. In fact, he has never worked for a prosecutor’s office or a law firm. After graduating law school, Mr. Toale started his own practice and began accepting appointments to criminal cases in Jefferson Parish. Initially, he worked in Jefferson Parish Juvenile Court where he tried 10 cases each day. Then Mr. Toale was one of the first to be offered a contract position as a public defender after the overhaul of the public defender system in Jefferson Parish where he tried up to two jury trials a week. Although he is no longer a public defender, Mr. Toale’s practice is almost exclusively focused on criminal law. Mr. Toale has over 30 years of experience as a criminal defense attorney. In that time, he has tried over 100 jury trials and represented over 5,000 clients. Mr. Toale has handled a number of high-profile cases: Vernon Williams, Patricia Van Winkle, Thomas Abadie, Joel Durhan, Walter Porter, Jerry Dantin, and Sonny Allen. Through these experiences, he became proficient at handling the media, sometimes appearing on local television and radio three or four times a week. Mr. Toale has also been interviewed and quoted by CBS News, the ABA Journal, the Times-Picayune, Newsweek, and the National Law Journal. 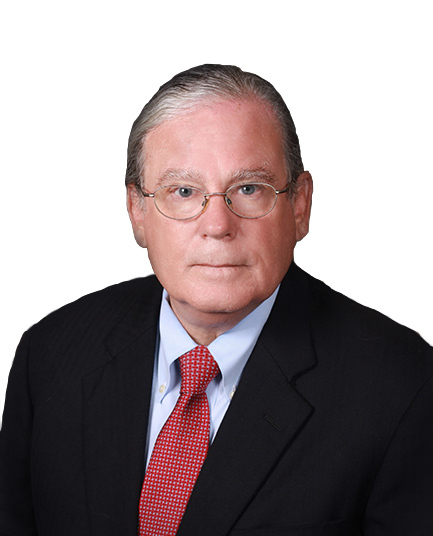 In addition to serving on the board of directors, Mr. Toale was previously the president of the Louisiana Association of Criminal Defense Lawyers. As president, he pushed to end the death penalty and increase funding for public defenders. Mr. Toale always fights for his clients’ rights both in and out of the courtroom.